Our fiber-coupled gas cells come in a variety of configurations all suitable for near-IR interrogation. Standard configurations include acetylene, hydrogen cyanide, carbon monoxide, water vapor and hydrogen fluoride though several other gases and mixtures are available. Fiber-coupled housings accept path lengths up to 3cm, 5.5cm 16.5cm 48cm and 80cm (the latter two taking advantage of folded optics in a multi-pass housing). 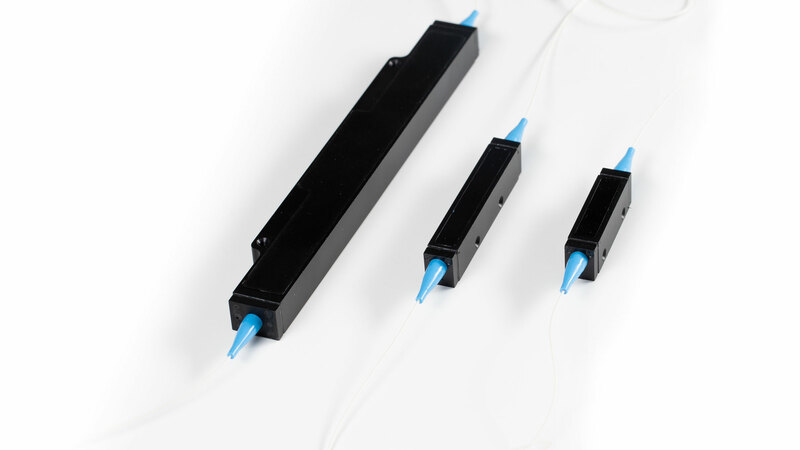 Fiber connectors can be FC or SC, PC or APC. A built-in photodetector output is also an option. These cells are used in spectrum analyzer calibration, tunable laser calibration, fiber-Bragg interrogation and gas sensing. Please click the link below for a list of our standard and most cost-effective fiber-coupled products. If you don’t find what you are looking for under ‘standard cells’, you can customize your cell by choosing gas species, path length, pressure and connector type from the product menu on this page. Our current online purchasing system does not support volume pricing. If you are interested in purchasing 10 or more of the same gas cell model, please contact us directly to receive a volume discount.